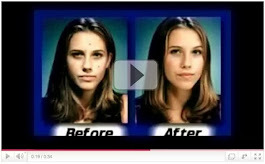 Home » Acne Help Articles » Remove Acne Scars naturally » Is the Future of Acne Scar Treatment Adult Stem Cell Injections? Over the last few years, there have been more and more experiments where deep acne scars have been effectively treated with adult stem cells. Unfortunately, this news has not spread as quickly as the industry would have hoped which has left many people confused about the procedure or completely unaware. This has left many unanswered questions swarming in the heads of anyone who has serious acne scars and has yet to find an effective treatment. The primary reason that many people have not yet heard about this new stem cell treatment for acne scars is because the research has been primarily done in Japan, with only a few clinics in Western Europe starting to use it. So far, it has not been considered an option in the United States. Remove Acne Scars naturally Now! Unlike the extremely controversial fetal stem cells, the stem cells used in this procedure is adult stem cells. They are often taken from fat cells surrounding the abdemon. The fat is then placed in a centrifuge and the stem cells are separated out. What Would This Treatment Entail? Depending on the country and the clinics practices, the stem cells could come from the person undergoing the treatment or from adult stem cells that have already been collected and preserved. The stem cells would then be mixed into a solution and injected under the scar tissue. The entire process would be very similar to the common collagen injection treatments that are used to treat acne scars currently. Why Will This Be More Effective Than Current Treatments? The adult stem cell treatment looks to be more effective for several reasons. The most important reason is that stem cells have the ability to promote healthy and new skin cell regrowth. Current studies are showing that this method is creating more sustainable, long-term results than current methods. This means that this procedure could be done once instead of every few months or years like many current options. There are two big obsticals that must be overcome before this treatment becomes more mainstream. The first problem is that in some areas of the world, the US, there is a perception issue that must be overcome. There seems to be a backlash against any studies or treatments that involve stem cells. The second roadblock is current technology. Currently, there are not enough identifying markers attached to stem cells, which makes getting them and cultivating them more difficult than it will be in the future. While it is already being overcome, it will make the treatment more expensive than it could be.